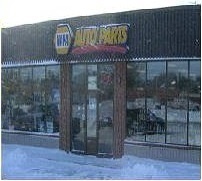 Britton Automotive has been providing quality service and auto parts to the Waterloo Region for over 45 years. Our knowledgeable staff is always willing to go the extra mile to find the parts you need, when you need them. Whether you're doing an oil change, adding aftermarket accessories or anything in between, Britton Automotive has you covered.